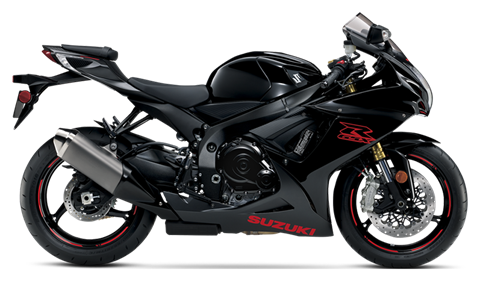 Three decades ago Suzuki revolutionized sportbikes with the introduction of the GSX-R750. Ever since then, the GSX-R750 has remained true to its original concept and championship-winning heritage. Its secret is an unequaled pairing of 750cc performance with the lightweight, compact chassis of a 600cc Supersport, complemented by technologically advanced suspension front and rear. Try a GSX-R750 and you’ll quickly realize this motorcycle defines performance riding from the center of the sportbike class. Race-developed, lightweight Showa Big Piston front Fork (BPF) delivers superb feedback and consistent performance. Three-way adjustable foot pegs, adjustable shift lever, and short fuel tank help compose a comfortable riding position that permits the rider movement required for performance riding. Compact 750cc, four-cylinder engine with a race-proven over-square bore/stroke ratio that produces remarkably strong high rpm power delivery. The energy-efficient engine employs forged pistons, shot-peened connecting rods, chrome-nitride-coated upper compression and oil control rings, and pentagonal ventilation holes to reduce frictional and mechanical losses. Lightweight titanium alloy valves are controlled by single-coil valve springs to reduce valve-train mass, reducing mechanical losses at high rpm. 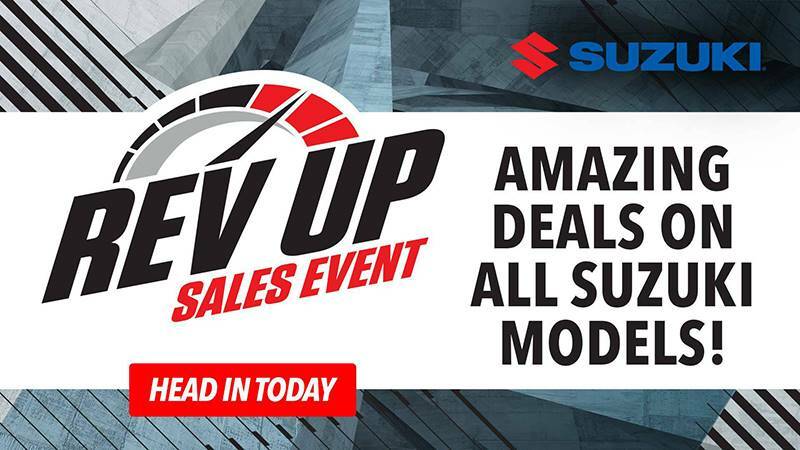 Suzuki Dual Throttle Valve (SDTV) fuel injection uses eight fine-spray eight-hole injectors for improved fuel atomization, which contributes to more complete combustion. Four-into-one stainless steel exhaust system with a titanium muffler is fitted with a Suzuki Exhaust Tuning (SET) valve that maximizes torque and improves throttle response, especially in the low- to mid-rpm range. The close-ratio six-speed transmission features a taller first-gear ratio and shorter ratios for 2nd, 3rd, 4th, and 6th gear, making it easier for a racer to get a good start while improving straight-line acceleration and drive out of corners. The GSX-R750’s look was born and raised on the racetrack, and for 2019 that styling has two, dual-color paint schemes. Riders can choose the Glass Sparkle Black/Pearl Glacier White scheme that includes red bodywork graphics and striping on the black cast aluminum wheels. Also available is a scheme that blends a shiny and flat finish via Metallic Matter Black/Glass Sparkle Black bodywork that also includes red graphics and accents on black wheels. 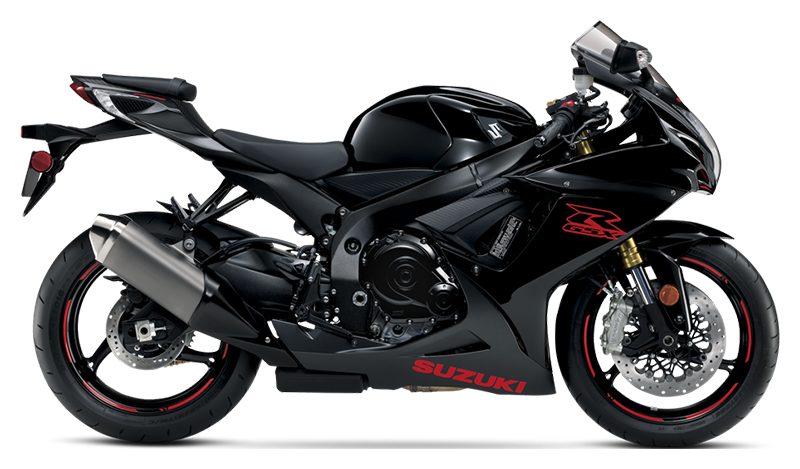 The GSX-R750’s fuel injected, 750cc, four-cylinder engine powers a balanced sportbike experience. This engine pulls strong off the bottom like a larger-displacement powerplant while it builds revs like a smaller mill – it’s the best of both worlds.